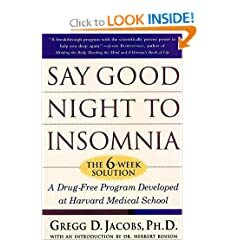 Jacobs’s program, developed and tested at Harvard Medical School and based on cognitive behavioral therapy, has been shown to improve sleep long-term in 80 percent of patients, making it the gold standard for treatment. The Effortless Sleep Method gives you something no other insomnia book can; an entirely different way of looking at insomnia. 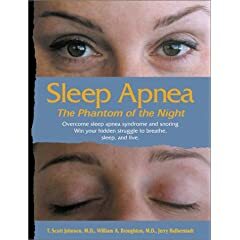 The step-by-step insomnia recovery sleep program contained in this book, doesn't just treat insomnia, it totally undermines it. The Six-Week, Drug-Free Program Developed At Harvard Medical School. At Harvard Medical School's Beth Israel Deaconess Medical Center, Dr. Jacobs has tested and developed a six-week, drug-free program that conquers insomnia in a large majority of patients. Noted sleep expert Dr. Michael Breus explains how your genes, environment, job habits, and physiology may be hampering your sleep and in turn dramatically affecting your waking life. When your thoughts won't 'turn off' to let you sleep, play this program. You'll relax deeply, fall asleep easily, and wake up refreshed and eager to start the new day. Renew yourself with natural sleep! Overcome fatigue by knowing the causes of fatigue. Learn real techniques for diagnosis and evaluate your energy status. Then find out how you can use appropriate treatments and therapies, many of which you can do on your own! Overcome Sleep Apnea Syndrome and Win Your Hidden Struggle to Breathe, Sleep, and Live. Experts in sleep medicine and a patient guide people with snoring and sleep apnea and their families to take advantage of dramatically effective medical treatment.